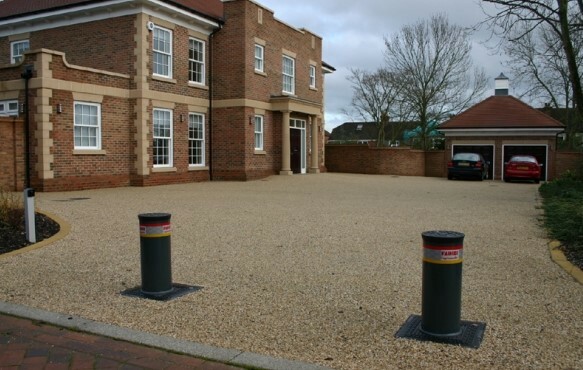 Premier Gate Automation engineers are experts in installing and maintaining a wide range of automatic rising bollards across London and the Home Counties. 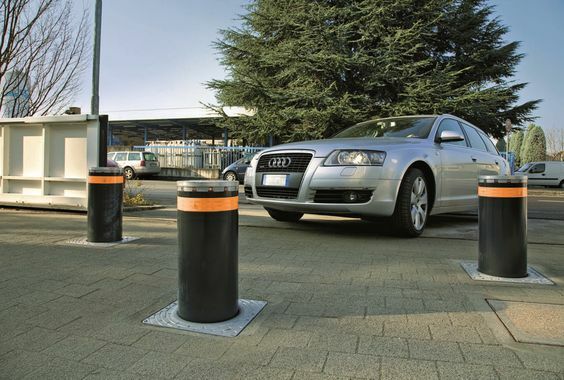 Automatic rising bollards integrated into the road surface provide one of the most effective methods of stopping unwanted traffic and illegal access. Rising bollards are a very visible and vandal resistant deterrent in areas where restricted access is required. 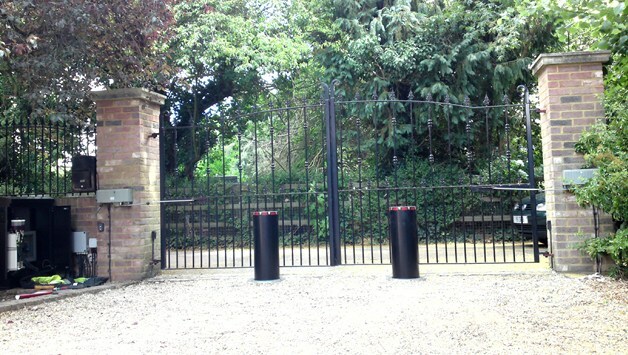 Premier Gate Automation Ltd can provide a wide range of automatic rising bollards and access control solutions suitable for private, public and industrial use. With a range of rise and fall speeds and impact ratings, they are the perfect security measure for sensitive sites such as car dealerships, airports, shops and government buildings. Aesthetically pleasing and impassable to traffic. Automatic Rising Bollards provide a neat solution to preventing the passage of vehicles without the requirement for gates and have a minimal impact on the environment for town centres and historic sites, designed to keep traffic away from sensitive areas.One or more bollards can be installed and operated together or individually. At Premier Gate Automation we work closely with you to ensure that your parking or traffic needs are met. We only supply and install from the industry’s leading manufacturers, ensuring high quality and reliability. From the rapid and cost effective electro-mechanical. through to the heavy duty, hydraulic, anti-terrorist rising bollards, we have a solution to help you take control of your parking and access. 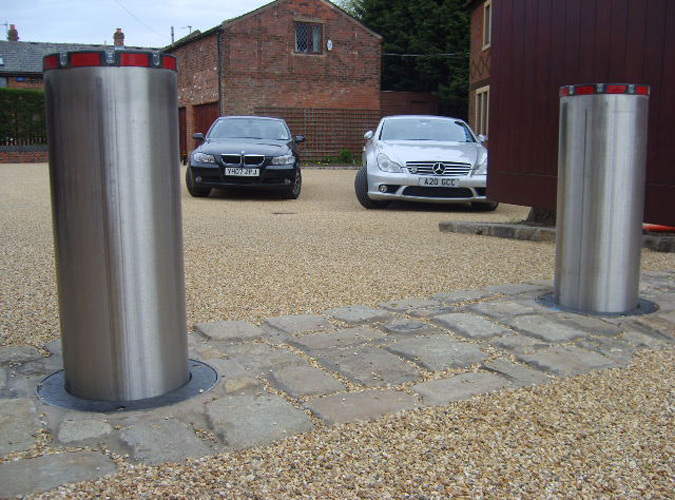 Our automatic rising bollards can be integrated with access control systems. Premier Gate Automaton can tailor a solution to suit your specific requirements. Traffic lights can also be added or software management to monitor traffic and usage. Whatever your specific needs, we will work with you to ensure that your security needs are met. 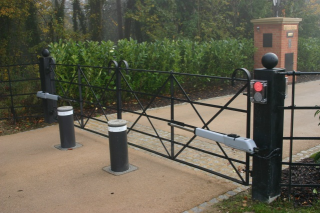 For help with installing, maintaining or repairing your automatic rising bollards, contact Premier Gate Automation today. We cover London, Essex, Kent, Surrey, Hertfordshire, Suffolk, Cambridgeshire and Sussex. Premier Gate Automation can offer you a gate system that fully complies with the Health and Safety Executive. We are a proud member of Gate Safe and we are continuously working to ensure that all automated bollard systems are fitted and maintained to the safety regulations. Whether you want to be covered for the future or you need an emergency appointment, we are here to help. Please complete the form below to let us know how we can help. Please search or manually enter the address for the site. The service that we have received from your firm has been excellent, as have the gates. Many thanks for the excellent service - I couldn’t have asked for more!